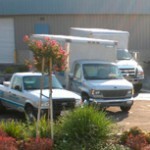 Since 1963, J & H Mobile Truck Repair has provided semi-truck maintenance and repair services out of their 20,000 square foot shop and welding department in Ceres, California. They operate seventeen mobile units with a complete mechanic staff working in three shifts for 24/7 coverage. Leslie and Robert Helfrich retained ownership of J&H in 1990 and successfully grew the business to the point of expansion. Needing a building expansion in a declining company, the Helfrichs found themselves in need of working capital for the first time in their 20+ years of ownership. Obtaining working capital, however, was a very long, uphill battle. A competitor funding company provided the initial capital to start the expansion, but the Helfrichs were reluctant to take additional funds. Like most in the alternative financing industry, the competitor required the Helfrichs to refinance their existing balance to access additional funds. By doing this, they would end up paying double the agreed amount for the same money – a process known as “double dipping.” Feeling stuck and discouraged, the Helfrichs didn’t know which way to turn. Then one day a mailer from The Business Backer was delivered to J&H. “At first glance, it seemed just a little too good to be true,” said Leslie. The Business Backer described a quick and easy process to obtain capital, did not require refinancing for additional funds and could provide additional funding alongside existing deals. Through their innovative Revolving Line product, the Helfrichs could receive additional funds sooner and only pay for the funds they require, saving them thousands versus competitors’ offerings. Although they were skeptical, the Helfrichs contacted The Business Backer to find out more. “The Business Backer was diligent in examining our needs and finding a funding source that would complement our business plan and work well with our business philosophy,” said Leslie. Unlike their previous funding company, The Business Backer provided options to J&H. “We were presented with three choices of funding amounts. Our executive team was able to analyze each of the funding amounts and choose one that would continue to benefit us for some time,” Leslie commented.